I was delighted last week to read about the launch of The Office for Students’ competition fund initiative to help ‘universities and colleges looking for innovative ways to help students find graduate-level employment close to home’. It is great to see growing awareness of issues around geographical mobility (or immobility) of graduates and what this means for their career pathways. This is something that I have written lots about over the years, along with people like Charlie Ball. Charlie’s work with graduate destination statistics has repeatedly shown that graduates are not as mobile as is maybe commonly assumed, and that job opportunities are unevenly distributed around the country – leading to real questions about how accessible different jobs are to different students. The question of how far geographical mobility is a choice, and how this interrelates with choice of career direction underpins my PhD. investigate and address the factors that influence decisions on where to work after graduation. This interests me because it seems to me that the first point is basically about helping graduates who have to (or wish to) stay in their local areas, and the second point is about understanding why some students are less mobile than others (with, am I right in thinking, a suggestion that we could be helping those graduates become more mobile and therefore access a broader range of opportunities?). These are noble aims, and fundamentally improving graduate career outcomes especially for those in regions with relatively limited job prospects will rely on one of the two – either increasing job opportunities or increasing mobility. However, I can’t help thinking that in practice there is a complexity here which ties in to ethical practice, and our feelings as careers practitioners about whether people ‘should’ move or ‘should’ stay. Whether we think people ‘should’ move or ‘should’ stay depends on our orientation to the community – with some people being ‘community activists’ and some encouraging young people to move from their communities for the sake of their career development (Shepherd and Hooley, 2016). It also depends on how we view individual career paths, and whether we think someone’s best interests involve mobility, or can be met in the community (this is something I have written about in a chapter for the new book Graduate Careers in Context edited by Burke and Christie). That ‘graduate jobs’ are the be-all and end-all, and that salary (for example) is an important criterion of success. This potentially reinforces again the narratives around the ‘best’ jobs being elsewhere, and doesn’t support other ideas of ‘success’ – such as the value of being part of a community. Graduates in the regions have for many many years contributed in their communities, perhaps not (always) holding high-paying high-status jobs but contributing through other means. This is not to say that the initiative is problematic, far from it, I think the initiative is great, and hopefully there will be lots of interesting projects and potentially some more research coming out of it. However, I think that it is important for practitioners, universities and consortia involved in these projects to remain mindful of the complexities of the issue, and the particular ways in which the services we offer may produce or reproduce notions of mobility or fixity. Ideally I would like to see projects concerned both with increasing opportunities for mobility and increasing opportunities locally. I think this is the best way to ensure that students have as much choice as possible. However, I do think there is a risk in both kinds of project that the idea of impoverished local labour markets may be reinforced. Therefore it is important that messages about the projects are carefully managed, and any projects are properly evaluated to identify the impacts, intended and unintended, on regional graduates. A further point is that I think there are sometimes interesting complexities in terms of micro-geographies – so within one region initiatives may be able to identify and promote specific opportunities, but if these opportunities are not in the part of the region where graduates are based this may not meet the needs either of the graduates or of the region. I can remember this from when I was a new graduate living in North Cornwall. There were some interesting jobs available in Cornwall (GradSouthWest was a relatively new initiative at that point I think, as a graduate jobs portal for the South West of England), but these were nowhere near where I lived, and therefore potentially just as remote from me as jobs elsewhere. As a result I think we need to remain aware about how we think about mobility – with intra-regional mobility and even commuting being different kinds of mobility – it is not simply a case of ‘mobile’ or ‘immobile’ as the mobilities turn in social sciences would tell us. Similarly it is not as simple as just creating jobs ‘in’ a region for that region’s graduates, if those jobs are not in the same places as the graduates. Potentially it is important to consider that even within regions some people will be more disadvantaged than others – through being remote from regional centres, and having limited access to transport (with public transport typically limited in very rural areas, and differences in the ability of young people to afford / be able to drive). Anyway, as I say I am delighted that this competition fund has been launched, and would hope that whatever projects are developed are fully thought through and properly evaluated. This way we will ensure that we extend and develop the evidence base around graduate career development and geography and ensure that future initiatives can learn from these projects. We should also, perhaps, be looking to other examples from other nations, and even potentially closer to home – for example projects like the ScotGrad initiative in Scotland which has supported graduate placements in all regions of Scotland but has used a different funding model for rural and remote communities in the Highlands and Islands to ensure a strong supply of placements in these areas. Developing our understanding in this area is important, so good luck to everyone who is thinking of taking part in this latest initiative, and I’ll look forward to hearing more about the projects that come from the fund! Categories: Uncategorized | Tags: Competition fund, Graduate, graduate employment, local employment, Mobility, Office for Students, region | Permalink. This week it was announced that it will be against the law to put Shetland in a box in maps of the North of Scotland. This refers to the practice of Shetland (and sometimes Orkney) being moved from their true locations normally to a location normally somewhere off the East coast of Scotland and placed in a box. This practice is clearly a practical response to the challenges of mapping such a vast area, allowing greater detail to be published of the land masses and reducing the amount of sea space that is included. However, Tavish Scott the isles MP has argued that this practice also “gives rise to a misconception about our islands” (BBC, 2018). The misconceptions that Scott is referring to are a result mainly of the perception amongst the public, including potentially policy makers, that the islands are closer to the mainland than they actually are. This risks underplaying the challenges of distance, specifically in terms of costs and time islanders face around the movement of people, goods or services to or from the islands. For anyone in the islands, being told by phone companies or banks or other goods or service providers just to ‘pop into the local branch’ is an irksome issue, which is normally met (in my case) with a sharp response about how long it would take to get to ‘a local branch’. But there are bigger issues here too – for example the additional cost of living that comes from having to add transport costs onto the provision of goods (e.g. food and petrol) and services, or the additional costs of attending interviews on the mainland, and so on. A further misconception is in the identity of islands and islanders. This is something I think has been a little overlooked in discussions of the ‘Shetland box’ but which I think is also important. Islands, especially those some distance from mainland locations, typically have complex histories of colonisation because of their strategic significance. Shetland also has such a complex history, although it has been hundreds of years since the islands were under Norwegian rule. In addition, when the distances to mainland locations are significant, and islands are placed in reasonable proximity to other nation states, transport links, trade and industry may connect islands internationally. This is also seen in the case of Orkney and Shetland, who have a range of connections with their Northern neighbours through industries such as oil and gas and fishing, and through transport such as the air links to Norway, and the past links to the Faroe islands through the ferry (the Norröna). If mapping conventions place Shetland in a box alongside Aberdeenshire then the islands become more closely associated with the Scottish mainland – almost an off-shoot. However if you put the islands in their proper place Shetland’s position as somewhat more distant is established, and if you use a map which includes the wider North Atlantic area then Shetland’s position ‘between’ Scotland, Norway and the Faroe Islands is clear. This changes the way that islands are seen, and I think their independence, their strategic significance and their (potential) international connections become more apparent. All of these things make islands interesting and important places. Incidentally I think a similar thing happens on a smaller scale with the island of Fair Isle – this is a tiny island, situated almost exactly half way between Orkney and Shetland. Administratively part of Shetland, Fair Isle often has its own box within the Shetland box. Again, it’s only when you see it properly represented on the map, or when you see the silhouette of the island on the horizon from the North Isles of Orkney that you realise it’s true location is somewhere more ‘in-between’. Mapping and visual representation more broadly clearly construct how we think of space. Ensuring that Shetland is put in its right place on the map can therefore help to ensure that people (including policy makers) are more aware of the specific experiences including the challenges of island life. Although there are challenges with the legislation, with some cartographers complaining that there will be maps that are largely made up of sea, I think it is important that this issue has been raised. Fundamentally it’s about visibility and equality – if other places have a ‘right place’ on the map, why shouldn’t islanders too? It may be inconvenient at the moment until we start figuring out how to use maps which are more accurate in practice, but this is a small price to pay if it enables the development of greater awareness, and more accurate perceptions of the islands and island life in general. Categories: Uncategorized | Tags: independence, island, islands, map, mapping, Perceptions, shetland, Shetland box | Permalink. I was reminded of this test on the BBC website the other day for finding out where you should live based on your personality. If you like silly personality tests on social media you’ll love this! Unlike many social media quizzes however this one is based in scientific research, published in Rentfrow P.J., Jokela M., & Lamb, M.E. (2015). Regional Personality Differences in Great Britain. The way that personality varies across places is fascinating to me. I’m reminded of Savage’s concept of ‘elective belonging’ – that we can ‘elect’ to belong somewhere (Savage, Bagnall & Longhurst: 2005). And although I suspect we rarely consciously think ‘oh this place suits my personality’ I wonder how much we subconsciously take our personality into account when we choose where to live? We predict that a personality type like yours would experience 72% life satisfaction in Shetland Islands. Located 100 miles off the mainland, the Shetland Islands’ economies are dependent on fishing, farming and the petroleum industries. The rocky islands enjoy short mild summers and long, cool winters. The district ranked the second lowest in Britain for extraversion, and the fourth highest for agreeableness. Levels of all other traits – openness, conscientiousness and neuroticism – were average for Britain. Categories: Uncategorized | Tags: elective belonging, jokela, Lamb, personality, place, Rentfrow | Permalink. Careers advisers spend a great deal of time talking to people about how to make a career move, about taking (calculated) risks, about following what you love, about continuing to challenge yourself and continuing to learn… But how easy is it for us to take our own advice? The answer for me at least is not that easy! But with that in mind, I have some news…. My sister-in-law captures my mood perfectly in this card. I will shortly be leaving my job at the University of the Highlands and Islands (as Careers Manager) and moving on to a short term contract as a researcher. The research project is looking at models of care delivery suitable for some of the smaller island communities in Orkney, so it’s really close to my heart in terms of islands, island development and innovative models of service delivery suitable for island communities. It is a great opportunity for me to build on my research portfolio and I’m excited about getting stuck into doing a really focused piece of research with real benefit for some of the island communities that I live in. As for my work in careers guidance, although I’m leaving my job I won’t be leaving careers behind! I will still be continuing with my PhD, and through this will be continuing to think about the career development of islanders and career guidance implications. In fact I’m hoping that moving job will ultimately allow me a bit more time and space to explore the full implications of my research including innovative and best practice in rural and remote careers work. Although people have said to me that the move is a ‘brave’ one – leaving a permanent contract for a temporary one – from a careers adviser perspective I’m hoping it is a good one. I am following at least two things that I love (research, island communities) and extending my skills and experience. And I am continuing to work with my other main passion – careers guidance. Although I feel like it is a risk, because I don’t know exactly what will happen after the research contract, I have a few ideas about possibilities so hopefully it’s a calculated risk and hopefully more interesting and rewarding jobs will follow…. Today I am travelling*. This isn’t unusual, I normally travel to the mainland about once a month. This time, as always, I have taken an academic text-book to read and some academic papers. And I was thinking on the bus (after the plane) how much I enjoy this reading-on-the-go, and strangely find it actually so much more productive, as days reading go, than being sat in my office. That’s when I remembered a paper by Finn and Holton that I’ve recently read about the experience of commuting students and their experiences of mobility to/ from university. Holton and Finn’s paper makes really interesting reading in terms of challenging the binaries in Higher Education discourse about ‘mobile’ (i.e. those who’ve moved for university) and ‘immobile’ (local) students. Instead they show that “local” students also experience mobility (through their experience of commuting) and also how this transitional commuting space is not simply ‘dead time’ but a productive space “work[ing] towards, rather than, against the process of knowledge production, identity formation and feelings of belonging” (2017:13). Now, thinking about Holton and Finn, I was thinking about my everyday mobilities – I don’t strictly ‘commute’ to mainland Scotland (my office base is in Orkney), but I am mobile, very mobile, across the wider region as a result of my work. And rather than ‘lost’ time, my travel time is valuable. It is particularly valuable for ‘thinking’ work, so it struck me as totally logical that students who are commuting to university might also find travel time useful for some of their higher education studies – their ‘thinking work’. However, unlike the students in Holton and Finn’s study, I’m not commuting to a place of study, so this suggests for me that rather than being a function of where I am moving to when I’m travelling, there is an intrinsic value of travelling in terms of thinking space. Continuing on my bus journey about one minute later I then remembered a tweet I’d seen from Robert MacFarlane on his phrase of the day ‘“solvitur ambulando” – ‘it is solved by walking’ (Latin). Diogenes, then St Augustine, Thoreau & Chatwin, inter alia.’ I liked the concept of a ‘problem solved by walking’ and wrote the quote down at the time. I have always found walking helpful for sorting out problems, but probably had thought about this more from the perspective of the fresh air and the exercise rather than anything else. But what occurred to me today is that it is clearly also about the experience of movement. Simply moving through space does something interesting to the way that I think…. At this point I started to wonder Lefebvre’s concept of ‘rhythmanalysis’, and the way that the rhythms of urban space can impact on people’s experiences… but I really don’t know enough about his ideas to know if there’s a link there or not! So, I’ve now added a number of new pieces of literature to my ‘to read’ pile from mobilities theory, Finn and Holton, and Lefebvre’s ‘Rhythmanalysis: Space, Time and Everyday Life’ too. If anyone else has ideas of other things I should read let me know! That should keep me busy for at least the next couple of journeys! *This is a touch of poetic licence, I’m not actually travelling today, but when I wrote the blog I was…! Categories: Uncategorized | Tags: commuting, Finn, Holton, Lefebvre, Mobility, rhythmanalysis, Robert MacFarlane, solvitur ambulando, thinking, travelling | Permalink. A couple of weeks ago I was lucky enough to deliver a keynote speech at a conference on careers guidance policy and practice which took place the Faroe Islands. The conference was titled ”Vegleiðing – nær og fjar” and it was supported by the Nordiskt nätverk för vuxnas lärande (NVL). You can see full details of the conference including copies of the presentations on the NVL website. I took the family too and we made a bit of a holiday out of it – and what a fantastic time we had! If memory serves me this is Norðdepil in the North of the islands. Of course it was wonderful to be able to explore the islands, they are truly very beautiful, and if we hadn’t been slightly encumbered with a small child who just wanted to jump in puddles (!) we would have loved to walk in the hills too… But it was also great to speak at the conference and meet people involved in careers guidance policy and practice in the islands and to compare notes with our experience in the Scottish islands. My presentation at the conference focused on islands and career development. I broadly structured the presentation by considering some of the key features of small islands (drawing on the island studies literature) and then by considering the impact of these features on the career pathways of islanders (drawing on some of the work of Ronald Sultana on guidance in small states particularly as well as my own research). Throughout the presentation I was concerned to challenge some of the deficit model of islands – the idea that islands are limited (in space, in people, in job opportunities) and that therefore there is a lack in terms of career (and life) pathways. Instead I focused on how islands present particular contexts and as such are marked by perhaps different career pathways but these are not necessarily “worse” . This is something I’ve increasingly been thinking about. Small islands, limited opportunities? Maybe not… this is Nólsoy. It was a total pleasure to present my thoughts, but the best part of the conference was definitely meeting people and comparing notes about our various contexts. The conference didn’t just include people from the Faroes, but also Åland and Greenland (as other self-governing regions) so it was a fantastic opportunity to share ideas and learn from each other. It was also great to be able to explore the islands over the coming days, to take part in Culture Night in Tórshavn by presenting a shortened version of my keynote (I felt very honoured!) and really to take the opportunity to learn as much as possible about a community that in some ways was so familiar to me and also so different. Looking back at Tórshavn from the boat. The maritime context is a key feature of similarity for island communities. During our time in the Faroes I was struck by how many people had Scottish connections, and had visited Scotland – in fact our flight to the Faroes from Edinburgh was precisely the same duration as the flight from Edinburgh to Orkney so in some ways the islands are as close as we are to mainland Scotland (in time at least!). And then of course the Norröna used to call in Shetland as it sailed from the Faroes to Denmark so quite a few people had visited Shetland too. There were other links as well, and my favourite moment was probably visiting a print studio where the artist showed our rather grumpy child (not an art fan, at least not yet!) a stuffed oystercatcher to distract her. He told us the Faroese name for the bird ‘tjaldur’ which I had to get him to say again because it sounded exactly the same as the Orkney word ‘chalder’ (or ‘shalder’). The Orcadian word, like many Orcadian words comes from old Norse, so it is no surprise really that the words are the same, but hearing it spoken really brought home to me how our shared Atlantic history can still be traced in the present. It also made me think about lots of other research that I have come across exploring links in the North Atlantic region – talks on things like knitting patterns (by Liz Lovick), archaeology, even the tuning of the St Magnus Cathedral bells (by Gemma McGregor). And there again is another link… St Magnus churches seem to be all over the Faroes! It was lovely (if a little strange) to visit the ‘other’ St Magnus Cathedral in Kirkjubøur while we were in the islands. Oystercatcher eggs outside the church door at Saksun… In Orkney we have an oystercatcher nesting on a roundabout. They choose the strangest places. Of course there are differences too, and one really significant difference I think is that the Faroes have a great deal more autonomy than Orkney and Shetland. In practical terms they are self-governing, having their own parliament, and setting their own laws. They also still have their own language, whereas Norn died out in the Northern Isles many years ago. Then there is the fact they are so much further from Denmark (they are still technically part of the Kingdom of Denmark) than Orkney and Shetland are to the Scottish mainland. Being a self-governing region in particular makes for a really interesting context in terms of careers guidance because of the need to define their own guidance agenda including policy, training and research. And it was a pleasure for me to be part of conversations during the week about the future for careers guidance in the islands. 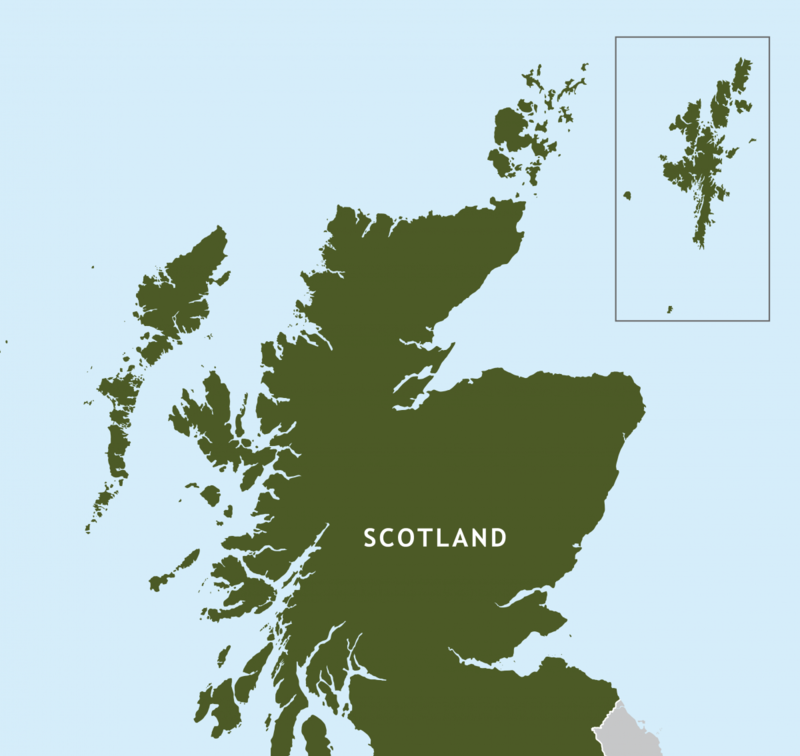 In comparison policy and practice in Orkney and Shetland are very much determined by Scottish policy and practice – although perhaps the recent Islands Bill might start to impact in this area. In terms of career development in the islands again what I heard was in some ways so familiar to me, and yet also had some differences… Of course I heard about problems of youth out-migration for higher education, I heard about gendered patterns of migration which are perhaps even more acute than in Orkney and Shetland, and I heard about occupational plurality and people pursuing “chameleon careers” (Sultana, 2006). I also enjoyed speaking with the University of the Faroes, which shares something of a similar purpose and mission to the University of the Highlands and Islands. However I also heard about some differences – I heard for example of instances where young people didn’t want to leave the islands because they were competing at an international level in Faroese sports teams – of course Orkney and Shetland don’t compete internationally* so that same appeal just isn’t there! Also seeing the range of prospectuses in one of the guidance departments in the school I realised just how international some student pathways are, and although most students study in Denmark many do study elsewhere – in Orkney and Shetland in comparison almost all students study in Scotland, with very few going to England and even fewer (I’m not sure if there are any?) going abroad, at least not for undergraduate studies. Truly international prospectuses at a school in the Faroes…. We had such a great time in the Faroes, and professionally it was a really productive visit too. I left the islands reminded about how much we can learn from each other as island communities that share many similarities but also, because of the particularities of islands, have differences too. And this is what I think is potentially so fruitful, when island communities work together – in our similarities we find common ground, and yet our differences help us to think outside of our contexts, potentially helping us to understand ourselves better and find areas for innovation and development. Categories: Uncategorized | Tags: career development, Career Guidance, Careers, Faroe Islands, Faroes, Island Studies, islands, Orkney, Ronald Sultana, shetland, Sultana, University of the Faroes, University of the Highlands and Islands | Permalink. What I pointed out was that when speaking about careers we often use metaphors of ‘pathways’ or ‘journeys’ (Inkson, 2007). Now, the metaphor of a journey or a pathway is both a spatial and temporal metaphor – journeys take place in time and space. However, my challenge to the audience was: how far as careers professionals and in our body of career theory, do we prioritise the temporal elements of careers over the spatial? Soja suggests that in the tradition of Western thought we have experienced something of an intellectual distortion – prioritising time over space, history over geography. This is interesting because I suspect as careers professionals we may also have experienced such a distortion. On a theoretical basis for example developmental theories of careers are common – which encourage us to think about careers in terms of life-stage. But do we have theories which place spatial characteristics of careers at centre stage? Perhaps some structural approaches help to focus us on issues of space (in terms of the labour market), although I would suggest that these have tended to focus on social structures rather than a broader consideration of geography. On a purely practical basis, as careers advisers how often do we gloss over geography and focus on temporal aspects of career development? And when we ask questions like ‘where do you see yourself in five years?’ how likely are we to actually be seeking an answer that focuses on a geographical where? Whatever else I covered in my presentation in London I hope I raised a few questions about how far we conceive careers as both temporal and spatial phenomena. Categories: Uncategorized | Tags: Careers Group, Festival of Research, geography, Gieryn, Inkson, Massey, Soja, space, spatial turn | Permalink.